KAMPALA – A squad of 20 players has been summoned to start preparations for the AFCON U23 qualifier against South Sudan. The team that will be handled by Matia Lule under the supervision of Cranes tactician Sebastian Desabre was on Monday pitted with their Northern neighbors in the first round of qualification that will take place next month. Some of the players that lost to Cameroon in the second round of qualification for the U20 AFCON have been included and complemented by others below the age of 23. Proline’s Said Keni, Vipers’ trio of Frank Tumwesigye, Stephen Mukwala and Geoffrey Wasswa, who featured prominently in the U20 qualification campaign have been included along with KCCA’s quadruple of goalkeeper Tom Ikara, Hassan Musana, Lawrence Bukenya and Sadat Anaku. 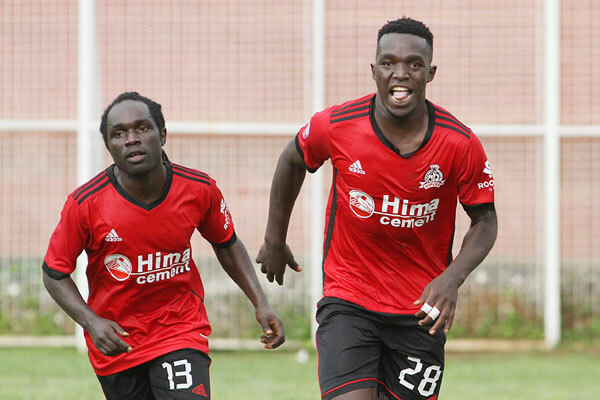 However, there is no spot for Mutapha Kizza, Julius Poloto and Allan Okello who were included in the Cranes’ squad slatted to face Lesotho on 13th of this month. The summoned 20 will attend a two day non-residential training on Friday and Saturday. The Kobs have to go through three qualification phases to reach the AFCON finals tournament in Egypt. If they can somehow manage to get past South Sudan, they will next face Tunisia in the second round which happens in March, 2019. From there, the winner will play the final qualification round in June to determine whether they qualify for the finals proper later next year. 13 countries have been handed byes into the 2nd round of the competition that has attracted 43 teams. Egypt will host the finals in 2019. Saidi Keni (Proline FC), Tom Ikara (KCCA FC) (Goalkeepers), Paul Wila (Police FC), Geoffrey Wasswa (Vipers SC), Patrick Mbowa (URA FC), Hassan Musana (KCCA FC), Robert Kitabalwa (St Mary’s Kitende), Alex Komakech (Nyamityobora Fc), Ivan Eyam (Mbarara City FC), Nicholas Kasozi (KCCA FC), Frank Tumwesigye (Vipers SC), Shafik Kuchi Kagimu (URA FC), David Owori (Vipers SC), Joel Madondo (K-Jinja SS), Stephen Desse Mukwala (Vipers SC), Lawrence Bukenya (KCCA FC), Sadat Anaku (KCAC FC), Kakaire Tomas ( Bright Stars Junior Team/ Royal Giant High Sch. Mityana) and Iddi Abdul Wahid (Onduparaka Junior Team).